Want to learn more about managing events in Wild Apricot? Or maybe you want information on using Wild Apricot within an existing website? With Wild Apricot's events module, you can set up one or several events - publish them online on your Wild Apricot website (or another website) and offer online self-service registration. 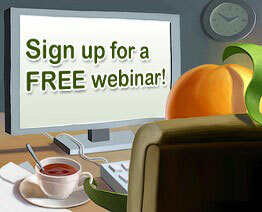 You can register for this free webinar - here. To many, Wild Apricot is a great all-in-one solution for website hosting as well as managing members, events, invoices, newsletters, donations, and contacts. But what you might not know is that you can integrate these features (i.e. membership registration, event calendars, profiles,etc) into your existing website using Widgets! In this special webinar we'll show you how it works from start to finish. If you are unable to attend these webinars but want to learn more about Wild Apricot membership management software, visit our Webinar Page for future session dates or check out our online help documents, such as our Getting Started Guides.